Website: Click here for Facebook link! Come out & join us for our annual event, Stop The Silence Awareness Rally to raise awareness and aid in the prevention of child abuse, violence against women, and victims of violent crime! 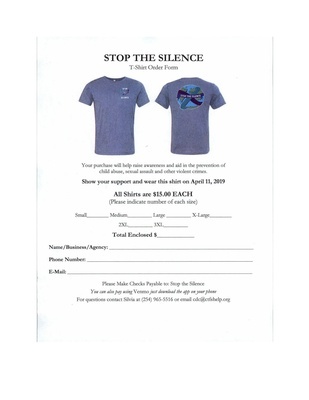 We will have children's games, activities, SHS theatre students performing skits, SHS art students flag designs on display, as well as many local nonprofits coming together to help raise awareness for abuse of all types.